Most of you following me by now might know that I’m a huge fan of tmart.com and the main reason being the fact that they offer free worldwide shipping! Tmart.com has great customer service and rating is great to so you don’t have to worry if it’s a scam. 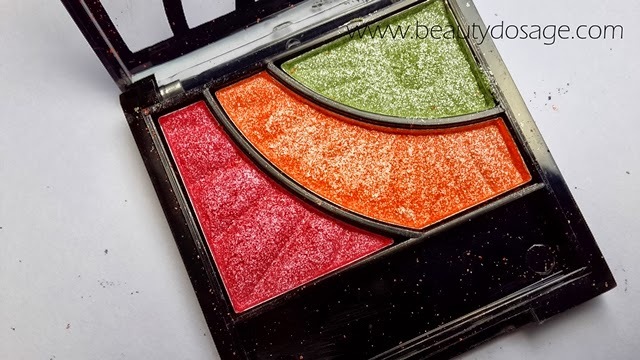 I have previously done many tmart makeup reviews so you can look back at those to know how some of the makeup goodies fair. Also it’s a great place to find affordable makeup brushes if you are new to makeup. 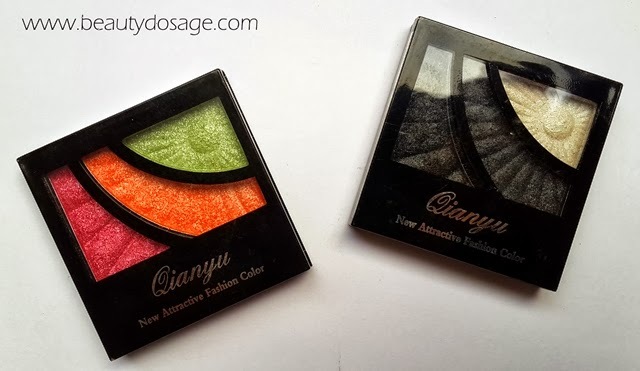 Today I’m reviewing two eye shadow trios from the website from the brand Qianyu. 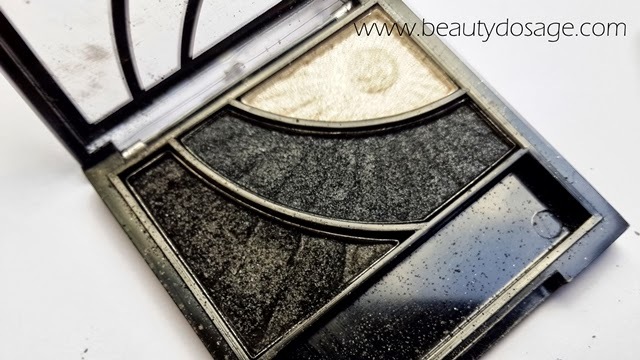 Eye shadows are my most favourite’s items in my collection and I’m always open to try new ones. This one was one such try. 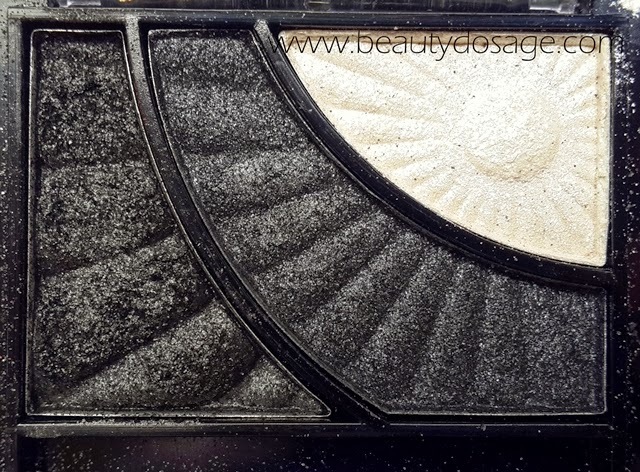 The eye shadows are not meant for everyday wear since they are not satin, pearl or matte finishes. They have a metallic/ foiled look to them which makes any eye look dramatic. 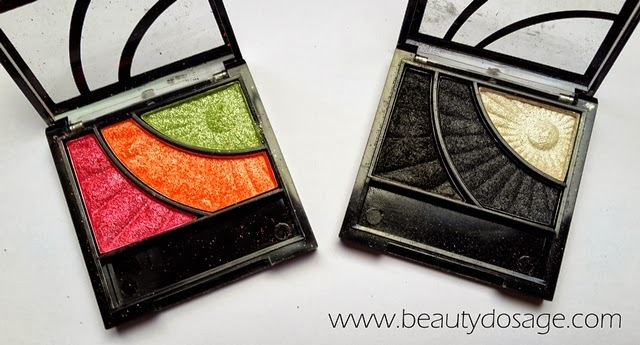 The downside is that you cannot create a perfect eye looking using just this trio since they have no variation of finishes. I do see huge amounts of fall out with these eye shadows so I would highly recommend you do your eye makeup first. These shades serve as wonderful lid colours in my opinion. Another way to wear them is as a pop of colour in the lower lash line. I find that the ingredients include of a waxy formula to them thus making them really stay put and not crease thus they are long wearing. The packaging is really sturdy. So much that it sometimes gets annoying to open up. They have a strong powdery scent to them (which I feel is totally inappropriate for eye shadows) it’s not an unpleasant smell though. It’s not something that made me feel excited. 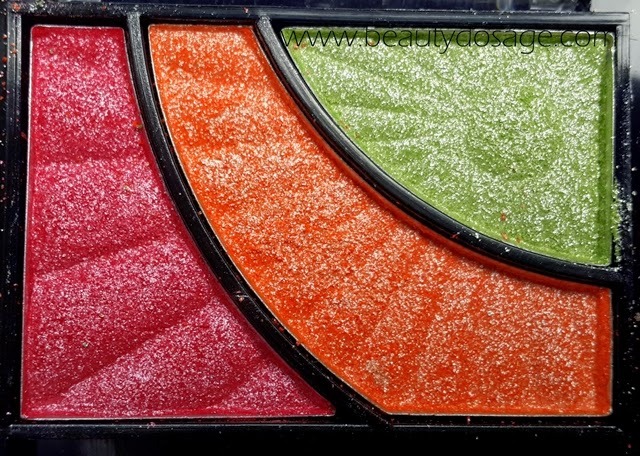 It’s nice to see such vibrancy but the fact that it has fall outs and is too shimmery doesn’t make it to my books. aww really pretty ones to try!! I heard of this webshop. 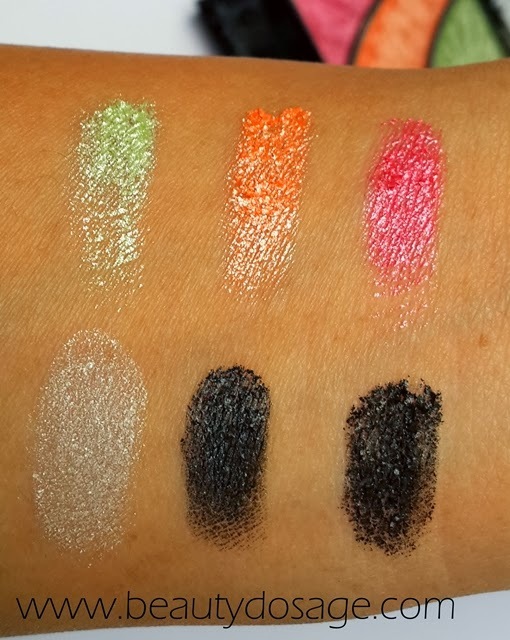 The pigment looks very good.